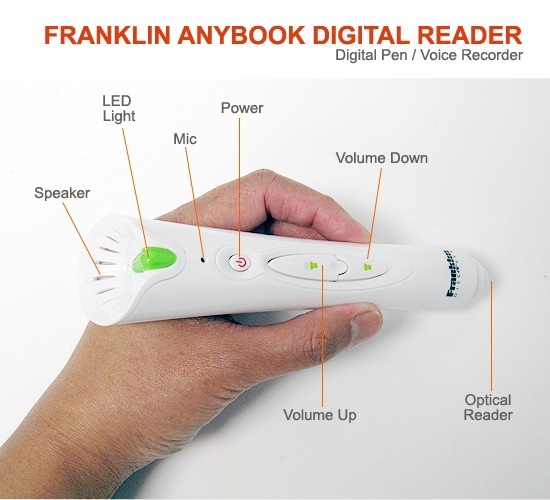 Posted on Nov 1 2010 - 5:58am by Lisa C.
When I first received the AnyBook Reader, I must admit I was a bit skeptical about it, since I already owned a Leap Frog Tag reading system. 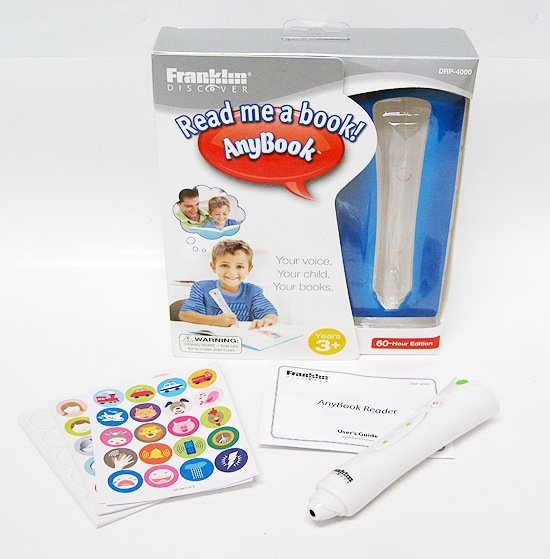 To my surprise, the AnyBook reader by Franklin is so much better. It lets you use books from your existing library, so no need to buy any special books for it, use what you already have. The best part is your child can hear your voice reading the book, which gives it a more personal touch. The instructions are very easy to follow and it only takes a few minutes to start recording; very user friendly. A big additional plus is that you do not need a computer connection to setup the pen or to upload any books. Overall, it is a product worth buying.